By using your own car and a student chauffeur the costs for our services are low. An hourly rate for a chauffeur service you won’t find anywhere else! The costs we project are dependent on the type of service you require. You will be charged for the hours that the chauffeur is driving (= driving time), or waiting (= waiting time). These hours are then divided into quarter hours. The journey made by the driver (= traveling time) will not be charged if the driver’s start address is within a half hour of the starting point. On return services, the first and last 30 minutes traveling time are free of charge. A minimum of 3 hours will be charged per trip. For evening, night and weekend trips there is no extra charge per hour, but a minimum of 4 hours will be charged. Evening hours start at 22.00 hours. For the chauffeur a food and beverage compensation of € 12,- will be charged for each 8 hours of a trip. Because our drivers are students and have a public transport smart cards, you will generally not be charged for travel on midweek trips. Since most drivers own a OV-chipcard. In a situation where the driver is forced to use a car to get to the start address and end address, a fee of € 0.33 per km is liable. This happens on trips starting very early in the morning or late at night, when no public transportation is available. For more information, see our terms . 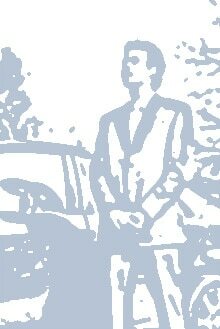 Make a reservation online for a studentchauffeur? That’s possible at Car Class 24/7! Fill out our online reservation form and you will receive a confirmation as soon as we found a chauffeur. More questions about our rates? In our Frequently Asked Questions we provide all the answers.